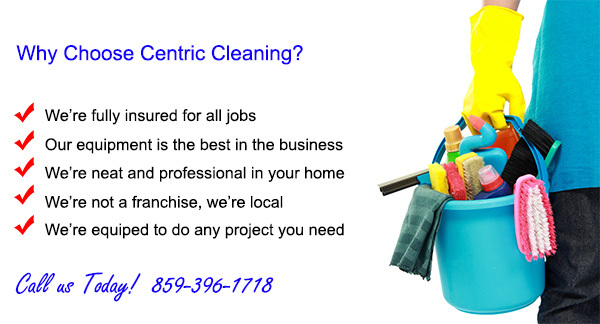 Centric Cleaning provides house cleaning services in Lexington KY, Nicholasville, Georgetown, Richmond, Frankfort, and Winchester KY. We’re equipped to take on any cleaning project that you may have. We’re a family owned and operated cleaning business, always have been, always will be. With our certified cleaning services we’re able to offer a 100% satisfaction guarantee on all of our house cleaning services. What House Cleaning Services do We Provide? It doesn’t matter if you need carpet & upholstery cleaning, hardwood floors, windows, or tile and grout cleaning. 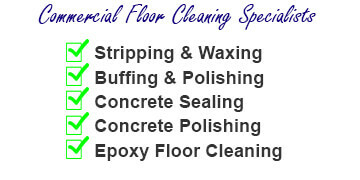 We have the tools and experience to do all of that and we even do rug cleaning, and floor buffing and waxing. We have a total array of house cleaning services for all of our clients. It just doesn’t make sense to hire 2 or 3 companies to do a job that one company has the tools and equipment to do. Where All do We Provide Our House Cleaning Services? 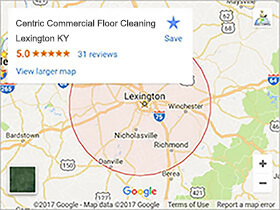 Our service area includes Nicholasville, Georgetown, Frankfort, Winchester and Richmond KY. Our service area goes out a full 30 miles from Lexington and we have clients from all of these cities that use our house cleaning services on a regular basis. Our entire house cleaning services business is built on providing the best service possible at the most reasonable prices. Also, we’re into relationship building with our clients, and we credit all of our success to their trust in us. Our house cleaning services clients are like family to us, and they can rest assured that they can count on us to respect their homes and property. Our formula for success has come from treating our clients the way we like being treated. And that’s what it’s all about. It’s easy, just give us a call at 859-396-1718 or fill out our CONTACT US FORM. We’ll get together and discuss your needs and quote you a fair price. Scheduling isn’t a problem, we work around our customers time lines, and do business on their schedule not ours. After hours house cleaning? We have you covered. Call and schedule today. To learn more about clean living, visit the American Cleaning Institute website.